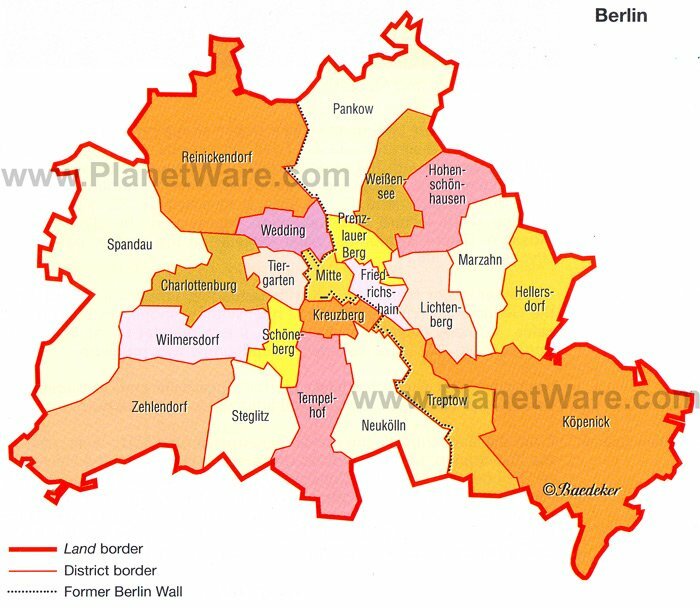 Berlin, the capital of Germany and the country's largest city, is also a major center of politics, culture, media, and science. Noted for its cultural flair, Berlin is home to the world famous Berlin Opera and Berlin Philharmonic Orchestra, while its diverse art scene encompasses hundreds of galleries, events, and museums, including those on Museum Island, a UNESCO World Heritage Site. Despite the devastation of WWII and following decades of decay to the east of the infamous Berlin Wall, the city has been rebuilt in a way that celebrates its successes while acknowledging a dark past. Berlin offers an eclectic mix of new and classic architecture, dynamic entertainment, shopping, and a wide variety of sports and cultural institutions. Berlin's most famous historic landmark is the Brandenburg Gate (Brandenburger Tor), once a symbol of a divided nation and now a symbol of unity and peace. This Neoclassical gate was commissioned by King Frederick Wilhelm II in 1788, and its design was inspired by the Propylaea in Athens' Acropolis. The sandstone monument is 26 meters tall, standing in the Mitte district's Pariser Platz, just a block from the Reichstag building. During the Cold War, its physical and symbolic position as a blocked gate along the Berlin Wall made it a frequent site for demonstrations by West Berliners, and it is famous for being the backdrop of US President Ronald Reagan's 1987 entreaty to Soviet leader Mikhail Gorbachev to tear down the wall. It was also the scene of a poignant gesture when German Chancellor Angela Merkel, Russia's Mikhail Gorbachev, and Poland's Lech Walesa walked through the gate in 1999 to commemorate the tearing down of the Berlin Wall 20 years earlier. The Reichstag was originally completed in 1894 where the Neo-Renaissance palace served as the home of the German Empire's Imperial Diet until it burned in 1933. It was not used again until after the reunification of Germany, at which point it underwent a ten-year reconstruction and finally became the home of the German Parliament in 1999. A highlight of this magnificent reconstruction is the replacement dome, the Kuppel, made of glass and offering superb views of the surrounding city, especially at night from the Rooftop Restaurant. Note that entry to the Dome and Terrace is ticketed, and due to demand, it's recommended that tickets be requested in advance (registration is available on the day, but expect a two- or three-hour wait). Free English language audio guides are available. Between the River Spree and the Kupfergraben in a 400-meter-long canal, Spree Island is better known as Museum Island (Museumsinsel), a UNESCO World Heritage Site. Here, you'll find many of the city's oldest and most important museums, including the Old Museum (Altes Museum), built in 1830 to house the Crown Jewels and other royal treasures. The New Museum (Neues Museum), destroyed during WWII, was rebuilt and opened again in 2009 as the home of extensive collections from the Egyptian Museum, the Papyrus Collection, and the Collection of Classical Antiquities. The Old National Gallery (Alte Nationalgalerie), opened in 1876, displays Neoclassical sculpture and paintings from 1815-1848, as well as Impressionist and early Modernist pieces. The Bode Museum houses a collection of Byzantine art, as well as a large sculpture collection spanning from medieval times to the late 1700s. The city's most popular museum, the Pergamon features a Museum of Islamic Art, the Ishtar Gate, and reconstructed historic buildings from the Middle East. The Berlin Wall originated in 1961 when East Germany sealed off that half of the city to prevent citizens from fleeing to West Germany. By the time it was torn down in 1989, the four-meter-high wall extended 155 kilometers, dissected 55 streets, and possessed 293 observation towers and 57 bunkers. Today, only small stretches of this graffiti-covered travesty remain, including a 1.4-kilometer stretch preserved as part of the Berlin Wall Memorial, a chilling reminder of the animosity that once divided Europe. Highlights include the Marienfelde Refugee Center Museum with its exhibits relating to the one-and-a-half million people who passed through Berlin as refugees, the Monument in Memory of the Divided City and the Victims of Communist Tyranny, the Window of Remembrance, and a Visitor Center with views over the remains of the wall. Also of interest is Museum Haus am Checkpoint Charlie marking the best-known crossing point between East and West Berlin and with displays and artifacts tracing the history of human rights. Berlin's oldest and largest Prussian estate, the late 17th-century Charlottenburg Palace was for decades the primary residence of German royalty. Beautifully restored, this huge palace has extraordinary features, including a massive 50-meter-high central dome, opulent Baroque and Rococo décor throughout its expansive rooms, and a large garden that was inspired by the gardens at Versailles. A highlight of the property's tour program is a visit to the New Wing, with its State Apartments and fine Banqueting Halls. Built in 1746, it's here visitors get a glimpse of the splendor in which the Prussian Kings and Electors lived, from Frederick I's bedroom and study with their fine furnishings and paintings, to the State Dining Room and 42-meter-long Golden Gallery with its rich, gilded stucco. Over in the Old Palace is the Porcelain Cabinet, a room dedicated to a large historic porcelain collection and special exhibits, including the Crown Jewels and other royal items. Other highlights are the Palace Park dating from 1697 and home to the New Pavilion (Neue Pavilion), built in 1788 in the style of a Neapolitan villa, and the Belvedere Teahouse with its fine collection of Berlin porcelain. Be sure to visit the Mausoleum with its royal tombs, as well as the Grand Courtyard with its large statue of the Great Elector, Frederick William of Brandenburg. The Gendarmenmarkt, one of Berlin's largest squares, is dominated by three historic landmark buildings: the Konzerthaus, the French Cathedral (Französischer Dom), and the German Cathedral (Deutscher Dom). This picturesque 17th-century square is now one of Berlin's top tourist attractions, hosting numerous public events each year, including classical concerts on the steps of the Konzerthaus theater in the summer, while each December the entire plaza becomes the city's famous Christmas Market. The Konzerthaus, built in 1821, is as famous for its architectural splendor as it is for the first-rate performances of Konzerthausorchester Berlin, one of the country's most popular symphony orchestras. In front of the building stands a statue of the German poet Friedrich Schiller surrounded by four female figures who represent the artistic elements of Lyric Poetry, Drama, History, and Philosophy. The cathedrals are so named for their domes ("dom" is also the German word for cathedral) and are in fact not churches - the French Cathedral is home to the Huguenot Museum, and the German Cathedral exhibits the history of the German Parliament. Another well-known square in Berlin, Alexanderplatz was the center of East Berlin life and is now home to the World Time Clock, a popular meeting place. Nearby is the Television Tower (nicknamed "Telespargel") with panoramic views of the city. Designed by architect Daniel Libeskind, the museum's zinc-paneled exterior makes it one of Berlin's most striking landmarks. Inside, visitors will find a wide range of historical artifacts and donated collections that illustrate the long history and struggle of Jewish Germans, from the Middle Ages to the present. Exhibits include artwork, religious objects, and 24,000 photographs that have been preserved and recovered. The museum is also home to an extensive library and archives at the Academy of the Jewish Museum Berlin, where there are frequent educational programs. Museum galleries include sections dedicated to Hanukkah, anti-semitism, Middle East conflict, the history and culture of Jerusalem, and the life of Munich rabbi Leo Baerwald. A remarkable testament to the people of Germany and their commitment to never turn a blind eye to the atrocities of the past, the Holocaust Memorial is another Berlin landmark that attracts tourists from all over the world. Sitting on the eastern side of Tiergarten, this collection of 2,711 concrete slabs covers 19,000 square meters of uneven ground. Below the sprawling memorial is an information center that houses the letters, diaries, and photographs of Holocaust victims. Literally translated as the "Animal Garden," Berlin's Grosser Tiergarten has long been a major tourist attraction. Originally a royal hunting reserve in which deer, wild pigs, and other game were kept, it was transformed into a public park in 1700. Attractively laid out with an abundance of trees and shrubs and expanses of grass and flower borders, the Tiergarten covers 210 hectares and is a favorite spot for relaxation, walking, and boating. The park also contains numerous statues and monuments, including the 1880 Statue of Queen Luise, which depicts her with a relief recalling her care of wounded soldiers during the War of 1806, and an 1849 Monument to Frederick Wilhelm III, with reliefs reflecting the King's peace-loving disposition. The most famous of the Tiergarten's monuments is the massive Victory Column, a 70-meter-tall structure that is crowned by an eight-meter-high gold statue of Victoria. The statue, dubbed Golden Lizzy by locals, was completed in 1873. It's well worth climbing the 285 steps to the top of this magnificent monument for the views over the Tiergarten. The Pergamon, the most visited of the Museum Island attractions, is also one of Berlin's top tourist sites. It is home to three main galleries, each occupying a wing of the massive building, including the Middle East Museum, the Islamic Art Museum, and the Antiquity collection. The artifacts, which narrowly escaped harm during WWII, were collected by German archaeologists during the 19th and 20th centuries from excursions to Egypt, the Middle East, and Asia. Primarily focused on architectural marvels, including ornate façades and gates, some of the museum's most famous pieces are the Ishtar Gate of Babylon, the Roman Market Gate of Miletus, and the Mshatta Façade. Also known as the Museum of the Gestapo, Topography of Terror occupies the buildings that were once the central offices and prison of the Secret State Police and the headquarters of Gestapo operations during WWII. The main exhibit focuses on the SS and police during Nazi rule, highlighting the terrible crimes that were committed and giving visitors a sense of the constant state of terror that was everyday life for Europeans under their control. Exhibits include documents, photographs, audio, and film, and explore various themes, including persecution and extermination, occupied countries, and the postwar era. Visitors are also invited to tour the historic grounds, which include remains of the Berlin Wall and the outdoor exhibition Historic Wilhelmstraße. Zoologischer Garten Berlin is the oldest zoo in Germany and remains one of Berlin's most popular attractions, welcoming millions of guests each year. Established in 1844 and completely rebuilt after WWII, the zoo has earned a reputation for its many successful breeding programs and is known for providing authentic habitats for the animals. The zoo is home to nearly 20,000 animals big and small, from Arctic wolves to zebras. Famous residents include a pair of giant pandas, two species of giraffe, and a flock of diminutive African penguins. The Zoological Gardens are also home to Europe's biggest aviary, as well as Aquarium Berlin, where you can watch more than 9,000 creatures swim in its 250 tanks, including reef and tiger sharks, jellyfish, tropical fish, reptiles, and insects. Another zoo of interest is Tierpark Berlin, home to some 7,250 animals from 840 different species. Originally the kitchen and herb garden of the Royal Palace, the Berlin-Dahlem Botanical Garden (Botanischer Garten Berlin-Dahlem) was built in 1679 on the instructions of the Grand Elector. Covering 126 acres, it is one of the world's largest botanical gardens, home to more than 20,000 species of plants that represent the flora of not only Europe but also tropical and subtropical environments in the Great Tropical House. There are also gardens of medicinal plants and a large pond forming the centerpiece of the biotope for marine and marsh plants. Also worth seeing is the Electoral Garden with its 17th-century garden greenery; a garden restaurant; and the excellent Botanical Museum, with its herbarium featuring more than two million plants and an extensive library. Berlin's Nikolai Quarter (Nikolaiviertel) is in the heart of the old city, and is where you'll find many of its oldest and most popular attractions, as well as plenty of things to do. This pedestrian-friendly quarter is known for its many small buildings set along narrow streets full of nooks and crannies, home to restaurants, cafés, shops, and craft workshops selling everything from basketry to wooden crafts. Highlights include the district's many old fountains, lanterns, and lattice-windows on the older houses and historic buildings such as Ephraim Palace, built in the 1760s, which has exhibits dedicated to Berlin's rich artistic and cultural history as well as an exquisite grand staircase. Also of note is Knoblauch House, built in 1760 and representative of the former homes of the city's wealthy Jewish merchants and tradesmen. Another favorite tourist spot is Berlin's most famous street, Unter den Linden. This broad avenue stretches some 1,400 meters and connects Pariser Platz in front of the Brandenburg Gate to the Lustgarten. Today, its two car lanes are separated by a wide, central pedestrian area that extends much of the street's length and provides a wonderful place to relax and take in the bustling city around you. Popular attractions are the Gendarmenmarkt, the Opera House, and St. Hedwig's Cathedral. One of Berlin's most interesting landmarks, Kaiser Wilhelm Memorial Church (Kaiser-Wilhelm-Gedächtniskirche) is in many ways two churches: the ultra-modern new church designed in 1961, and next to it, the ruins of the original, including most of the 63-meter-high tower. Completed in 1895 in honor of Emperor Wilhelm I, the original was destroyed in 1943, but its remains were incorporated into the new complex. The result is now a major Berlin landmark that also serves as a war memorial, with exhibits installed containing mosaic remains, architectural remnants, and photos. The centerpiece is a figure of Christ from the old church and a Cross of Nails from Coventry Cathedral, destroyed by German bombs earlier in WWII. Guided tours are available, and visitors are welcome to participate in Sunday services; Evening Music Services featuring cantatas, organ recitals, and choral music; and regular weekday services. Luxury Hotels: One of Berlin's most iconic hotels is the magnificent Das Stue, centrally located and overlooking the western section of the beautiful Tiergarten. At the Tiergarten's opposite end, the Regent Berlin and Hotel Adlon Kempinski are just steps away from the historic Brandenburg Gate and are perfectly positioned to explore the city's famous Museum Island. 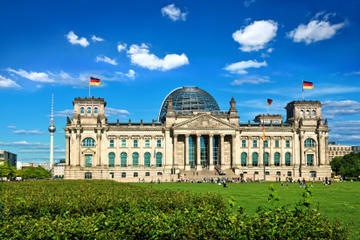 Both are also just a short walk from the tree-lined Unter den Linden, famous for its boutiques, cafés, and restaurants. Mid-Range Hotels: Just minutes away from the Tiergarten and close to excellent dining and shopping, the Hampton by Hilton Berlin City West is a great base from which to explore other areas of Berlin thanks to its proximity to the city's excellent subway (U-Bahn) system. Another popular option is The Circus Hotel, just minutes from Museum Island. Also of note is the funky, modern Hotel Gat Point Charlie, which as its name suggests, is adjacent to one of Berlin's most famous landmarks. Budget Hotels: For those on a tight budget, city-center options worth considering include the Ibis Berlin Kurfurstendamm, a short walk from the Tiergarten, and Motel One Berlin-Hackescher Markt, not far from the city's museum district. The Hotel Britz, although a little further away, is worth considering for those wanting a more intimate feel and is popular for its proximity to public transit and excellent breakfast. 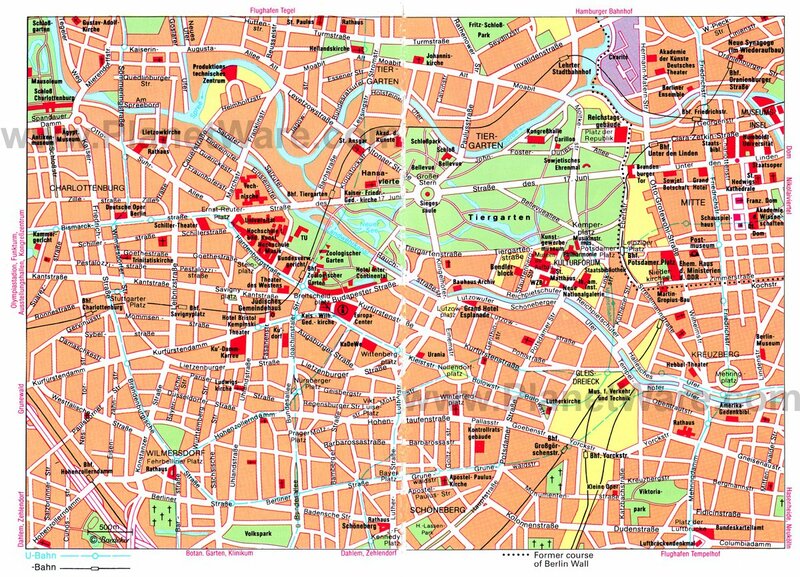 Sightseeing: There are several great ways to see Berlin, whether it is by bus, bike, or on foot. One of the easiest ways to see the city and learn a little about the history is on a double decker, open-air Berlin City Hop-on Hop-off Bus Tour. This tour offers 20 stops at various points of interest, with the option to get off or stay on the bus. 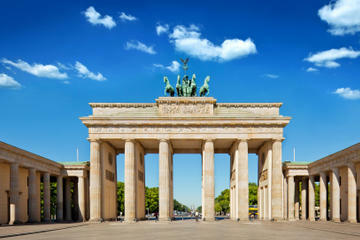 For a more in-depth, feet-on-the-ground experience, the Berlin Highlights and Hidden Sites Historical Walking Tour offers a four-hour guided walking tour and includes both major attractions and little known sites, from the Brandenburg Gate and Checkpoint Charlie to Hitler's former bunker. If you really want to get active take a 4.5-hour guided Berlin Bike Tour to see the city's top attractions and learn about the history. Day Trips: The Sachsenhausen Concentration Camp Tour from Berlin is a six-hour day trip to one of the first concentration camps established by the Third Reich. Today, it is a national memorial. This is a historian-led tour and includes admission to the site. If you would like to visit iconic tourist attractions like Zwinger Palace and Frauenkirche, the Dresden Day Trip from Berlin provides an opportunity to get a guided walking tour of the historic city and then enjoy the afternoon exploring Dresden and the banks of the River Elbe at your leisure.